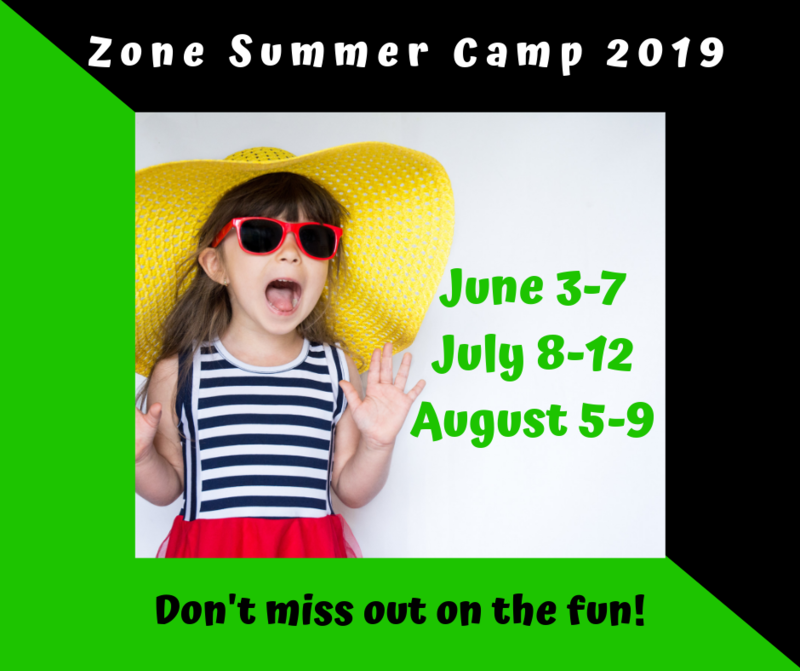 You don’t want to miss out on ZONE’s summer camps! Each camp is a theme-focused week FULL of FUN and GAMES! Camp times are from 9am-2pm Monday through Friday.